For 21 years I have been working on behalf of all children. It officially began when my daughter started kindergarten. But as I reflect, it started before then. Even before having children, I pondered ways the education system could be adjusted to serve children of all walks of abilities, life and career paths. I contemplated being a teaching as a career when I entered college, but at that time teachers were being laid off at high numbers. I was discouraged from being a teacher by my school counselor. When I became a parent, I wanted to ensure my children received the education they deserved. I also better understood the importance of ALL children receiving the best education possible. These were my children’s peers, the people they would interact with the rest of their lives. When my daughter started school, I immediately jumped at the chance to be involved in the school. I was happy to work with the students and watch them develop new skills. Naturally, this lead me to be involved in the Parent Teacher Association. PTA provided me the opportunity to increase my understanding of public education, how schools and districts are managed and funded. Through my years as a PTA leader and volunteering with Band Boosters and other groups, I expanded my ability to work collaboratively with others. I saw how support for every student, not just my own, benefited all students, the community, and society. I am grateful for everything I learned from volunteers, teachers, students, and administrators. Each has contributed to the person I am today. 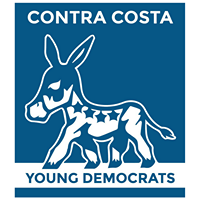 I ask for your support in my campaign for Contra Costa County Board of Education. The Contra Costa County Board of Education has many responsibilities. Board members are important participants in the Local Control Accountability Plan (LCAP) for the Court and Community Schools managed by the Contra Costa Office of Education. They approve the curriculum in these county-run schools and programs as well. They address appeals on student matters including expulsions, school transfer requests, and charter school petitions. They review and approve the CCCOE budget. The board adopts a standard list of school supplies, educational media, and supplemental materials used in the local districts throughout the county. Board members serve as the Committee for School District Organization, which reviews district boundary change requests. Additionally, the board also provides information and support to the local school district governing boards. I feel the most important duties center around student advocacy, particularly for the programs of the Contra Costa County Office of Education. Board members work to increase parent, business, and community support and awareness of the programs and services offered by the Contra Costa County Office of Education. This advocacy occurs continuously at levels from the local/city level, throughout the state, and up to the national levels. My extensive volunteer experience, advocating for children and families, and my passion for public education makes me uniquely qualified to assume this role. Support and Vote for Annette Lewis for Contra Costa County Board of Education member for Area 5. Graduate from California State University, Chico 1985. Bachelor of Arts in Psychology, Minors in Business and Collective Bargaining.